The holidays are definitely one of my favorite times of year; the music, lights and shopping are magical! One of my favorite pastimes is grabbing a cup of coffee and exploring the hidden gems of San Diego. Taking the time to relax and enjoy these slower paced moments make the holidays feel even more special. Even when I am partaking in casual activities I still like to look chic while being comfortable. I find that the perfect watch can bring any look together. 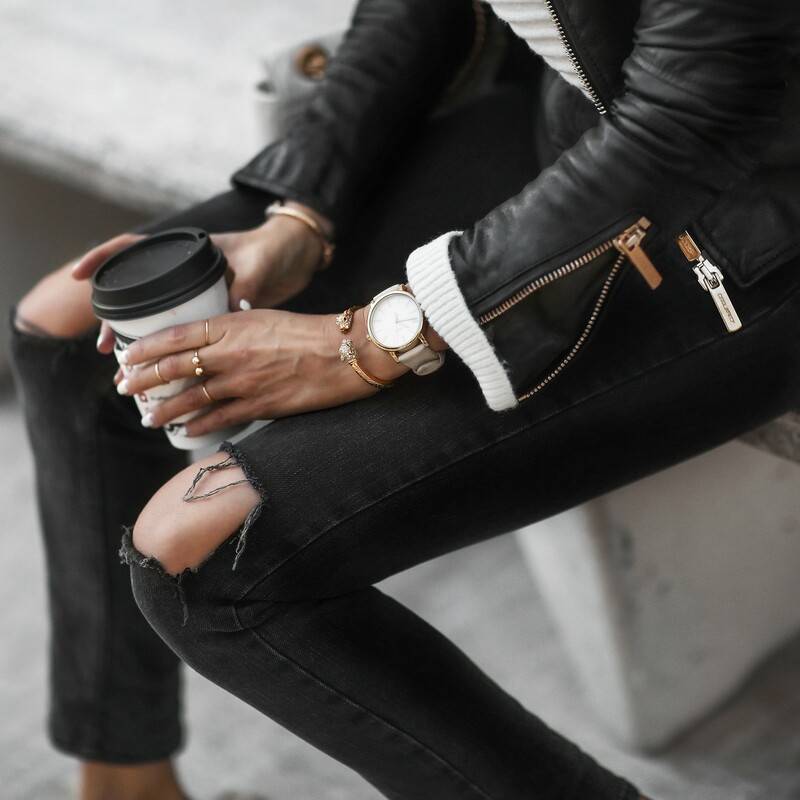 I always gravitate towards classic styles with a modern twist and that is what attracted me to this gorgeous watch by Timex . 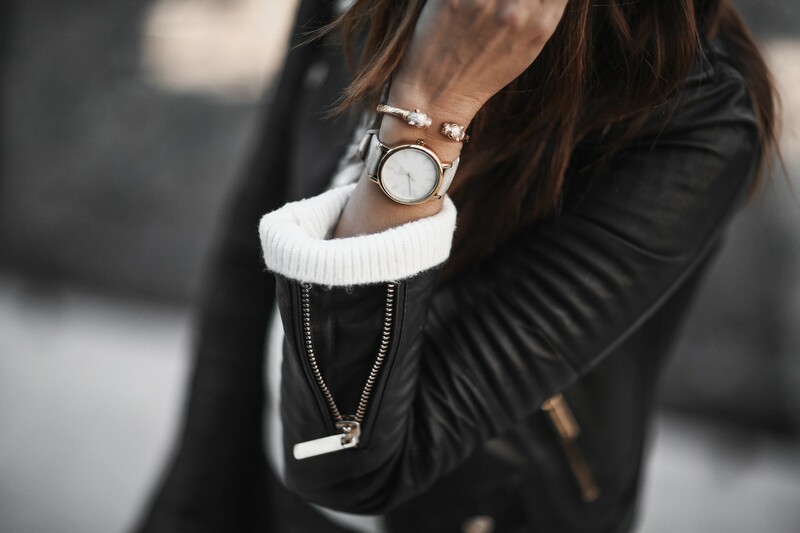 The monochromatic watch with a suede band and gold hardware feels very fresh and elevates my look. Many times the accessories can make a good outfit become great and that is definitely the case with this look. Special thanks to Timex for partnering on this post. Not just the watch, the whole accessory department is on fleek! I love it! You look so elegant and stylish. Love those watch and your Gucci slippers! I’ m a huge fan of your style. You look always glamorous.